It pays to use your eyes! 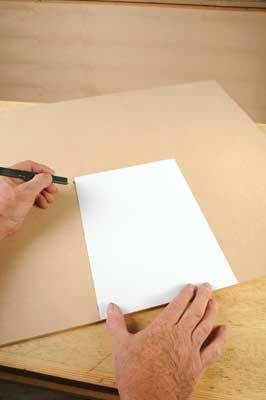 When I was at technical high school back in the dark ages, all joints were marked out in quite a finicky way. 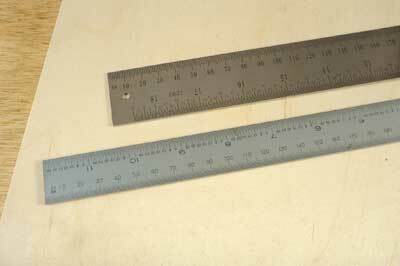 To give an example, it wasn't enough to use a try square and standard marking knife to create a line for a saw to follow. Once the knife had done its work after a couple of strikes, it was followed by a nice sharp chiselled bevel down to the aforementioned line, thus creating a one-sided gully for the saw blade to sit in nestling against the perpendicular knife edge. This was good practice for getting straight lines and marking out discipline. 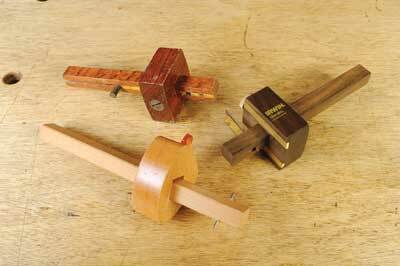 However, hardly acceptable everyday practice unless the wood on the waste side was indeed to be cut away as with tenon shoulders. Nevertheless it got us schoolboys - yes I was once on the straight and narrow - so to speak. Nowadays with the resurgence and interest in high quality hand tools along with that comes a plethora of marking and measuring devices. Here are the ones I like and ones that you may care for as well. The first step is to measure, or is it? In fact the first step is to assess. You need to design a piece of cabinetwork based on a specific need or set of requirements. These days it is frequently done on a computer using a CAD program. However, there are top makers who prefer good old fashioned pencil, pen and paper and even watercolour or felt tips to create lively personalised sketches for the benefit of clients. You can still buy the basics to do all of these things if you prefer this route. The first measuring devices are your eyes and fingertips. By sighting along a board to check for bowing along the length of a board or 'cupping' across the width or using 'winding sticks' to assess whether a board is twisted, you can make initial judgements. Defects in boards can be seen and marked out and later on in the process your fingers will be able to tell you if a joint is flush or not. Our ears tell us if cutters and machines are straining under a load and our noses will tell us if a cutter is blunting or slowing in a cut as the timber starts to burn. Behind all this it is of course our brains which so cleverly do all the computations. It goes without saying that we can also correct the timber merchant who tries to sell us ash instead of oak - it has happened to me - using the sum of our senses. 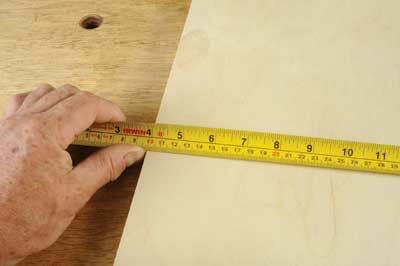 Even in a high class cabinetmaking setup there is a place for an expanding tape rule, just work from the 100mm in position and always add 100mm back to any measurement you make. Doing this avoids the inaccuracy of the sliding end stop on the tape. A good way to measure over distances greater than a flat steel rule. Steel rules are excellent in use but an etched surface version is easier to read compared to a polished rule face, 300mm and 600mm examples are worth owning. Do not use for cutting against, as a knife blade can skate across the surface and cut you. 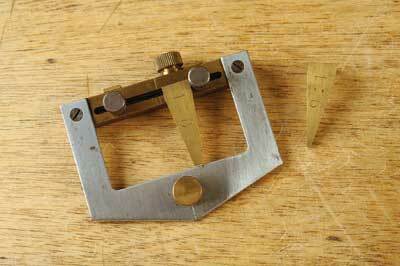 Try squares look nice especially with a rosewood stock, brass edge facing and blued blade; however, that's where it stops as they are seldom accurate as a comparison between examples shows here. 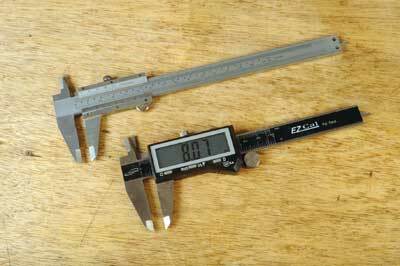 A much better alternative to the try square is to acquire an engineer's square; these are made to fixed, finer engineering tolerances and therefore cannot be inaccurate. 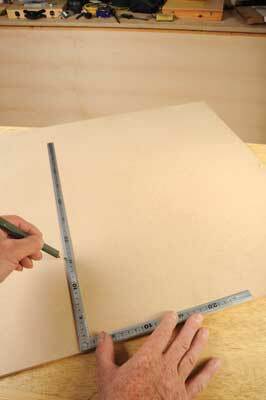 A sliding bevel is very handy for transferred or repeat marking out of angles and will come in handy from time to time. is handy for the same reason; speed and accuracy make them invaluable. 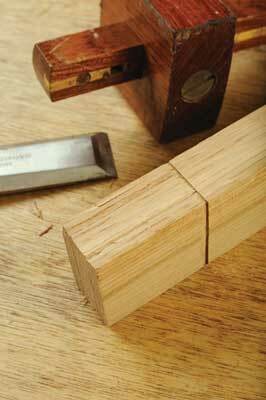 The dovetail is the yardstick for fine cabinetwork much as the mortise and tenon are to joinery. 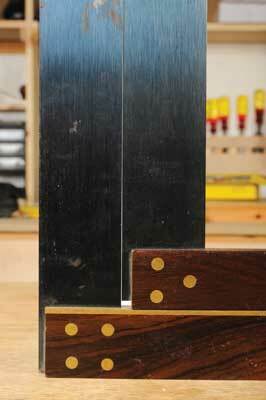 A simple but reliable dovetail gauge takes the worry out of precision setting out. 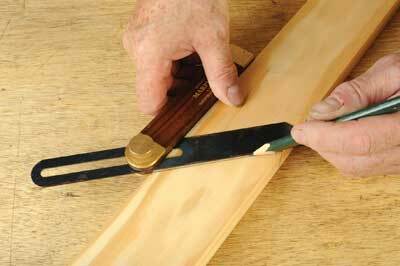 Traditional marking and cutting gauges are required for setting out mortises and other work. Most will work tolerably well but there are superior versions if you want better performance. 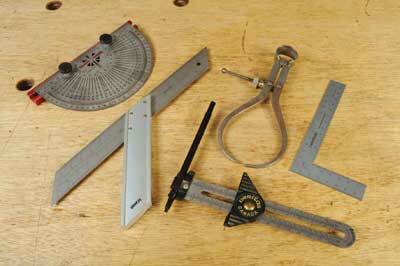 You can buy a combination marking and mortise gauge with two sets of points for the two different operations. 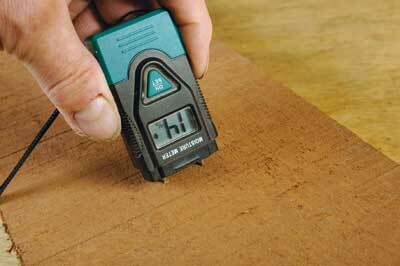 A cutting gauge is necessary for cross grain marking. The traditional English marking knife isn't much to be excited about but with care a reasonable edge can be achieved, although like many knives they are 'handed' so you need to choose the correct one. 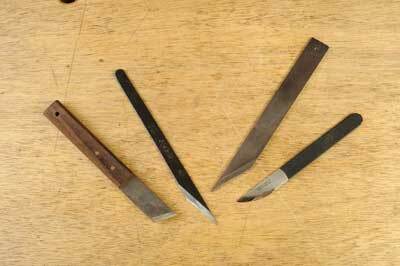 However, there are better alternatives such as Japanese marking knives which have surgically sharp edges and need to be treated with respect. There are various other marking devices on the market which can be of interest. If you are tempted by any of these just be sure they will find a proper use and check they are accurate. 1. 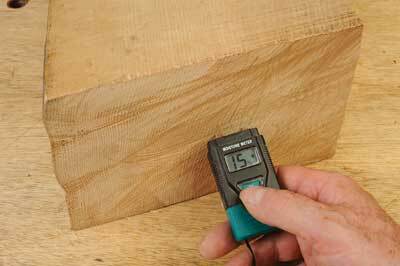 If you use a moisture meter you cannot necessarily expect to get an accurate reading using the sensing prongs through the face of a board. 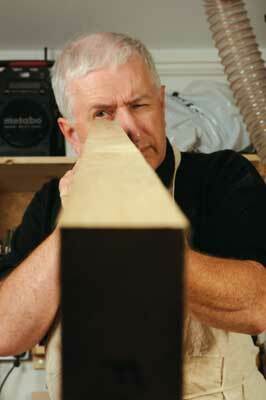 A fresh cut across a board should reveal a more accurate core reading. 2. 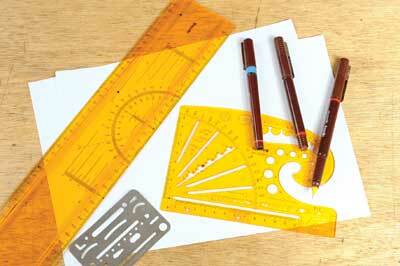 Marking tools deserve looking after. 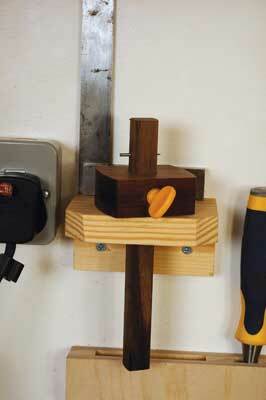 A suitable storage rack for these and square cases for vernier callipers are a sensible idea. 3. Try squares and engineer's squares are prone to rusting. Give them a light wipe over with a non-silicon based moisture retardant. 4. 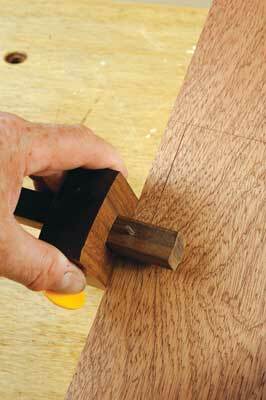 Marking out smaller joint work is more easily done with a small square and larger work with a larger square. I use two different size engineer's squares when working. 5. A steel roofing square is very useful for larger work but it is often not accurately square. 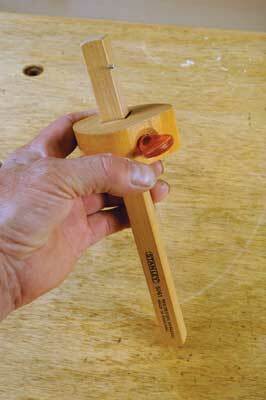 Use an engineer's punch to spread or close the arms of the square, making a short line of punchings which will alter the angle fractionally. 6. 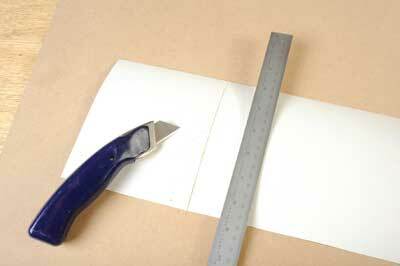 If you need to set out 90° on a larger scale and you don't have a big square available, you can use a sheet of A4 paper to mark or read square against as it is guillotined exactly perpendicular. 7. 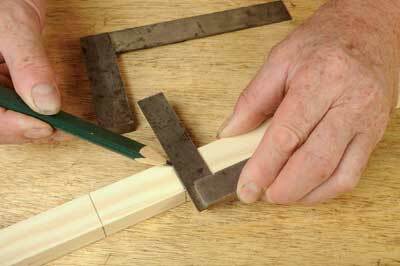 When using a marking with the grain, respect the grain angle when moving the gauge in the right direction so the point doesn't get deviated because of it. 8. 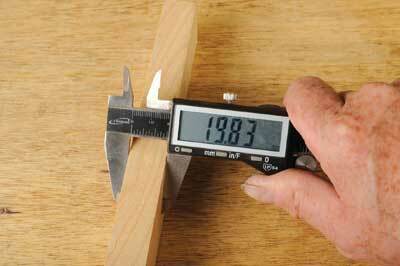 When adjusting a marking gauge tap the end on the bench to make minute changes. However when using a beech shaft, the thumbscrew will dent it so this is best avoided.
. 9Avoid plastic verniers; for a low cost modern digital callipers are far superior. 10. 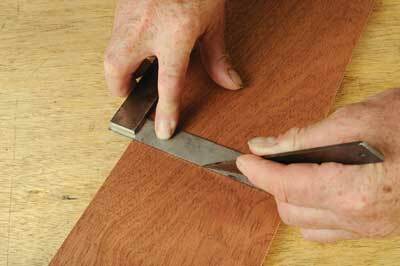 Marking knives are meant for marking not general cutting activity; even though some can be incredibly sharp. 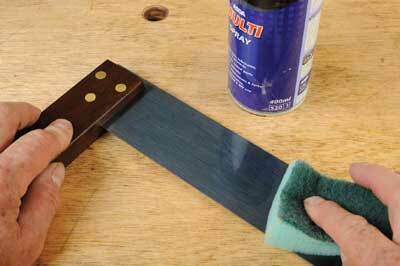 A Stanley type knife is much better and the blades can be changed easily.